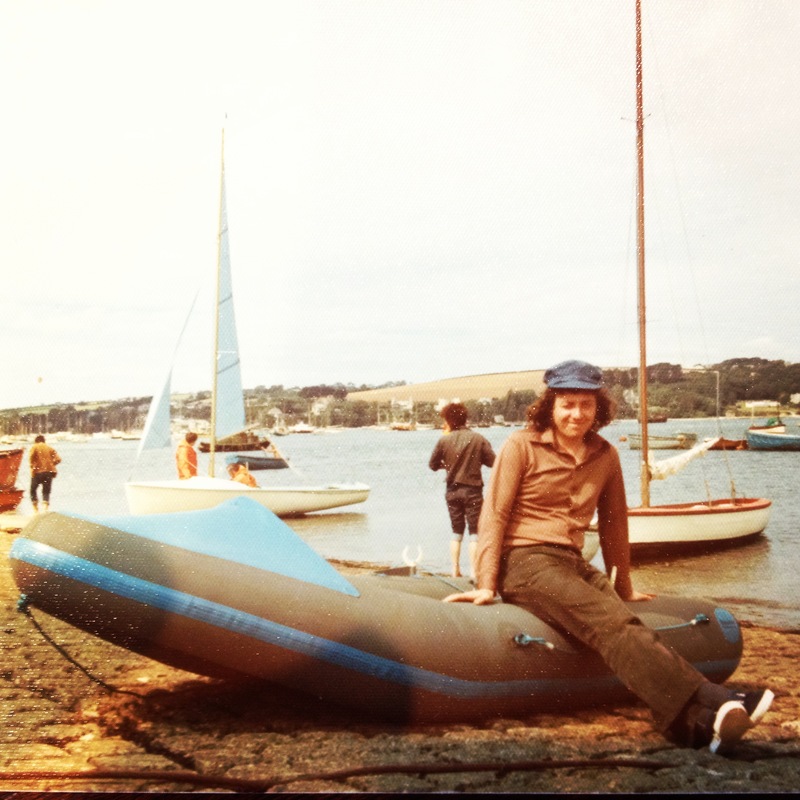 One of my parents’ greatest pleasures is chugging down Fowey estuary in Cornwall in their ancient dinghy. They bought the dinghy in 1973 whilst ‘courting’ and named it Chrismick (a hybrid of their names). 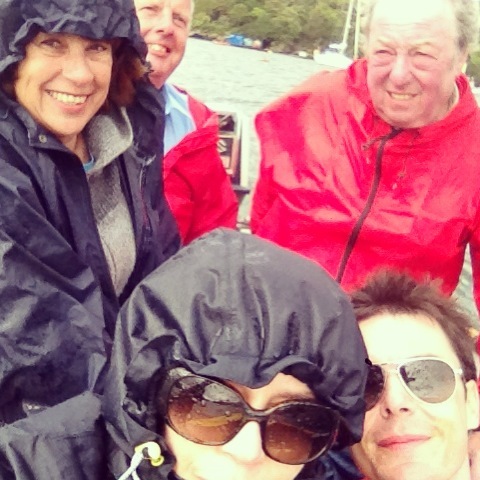 The original Chrismick was upgraded to Chrismick mark II in the late 80s – and to this day it lives on, travelling down to Cornwall each year, with occasional ventures onto Lake Windermere. But whatever you do, never call it a dinghy. In my father’s eyes, it’s a boat: his pride and joy. Better still, it fits into the boot of his car. And nothing gives my father greater joy then driving down the M6 to Cornwall knowing that he has a WHOLE BOAT neatly tucked into his trunk. 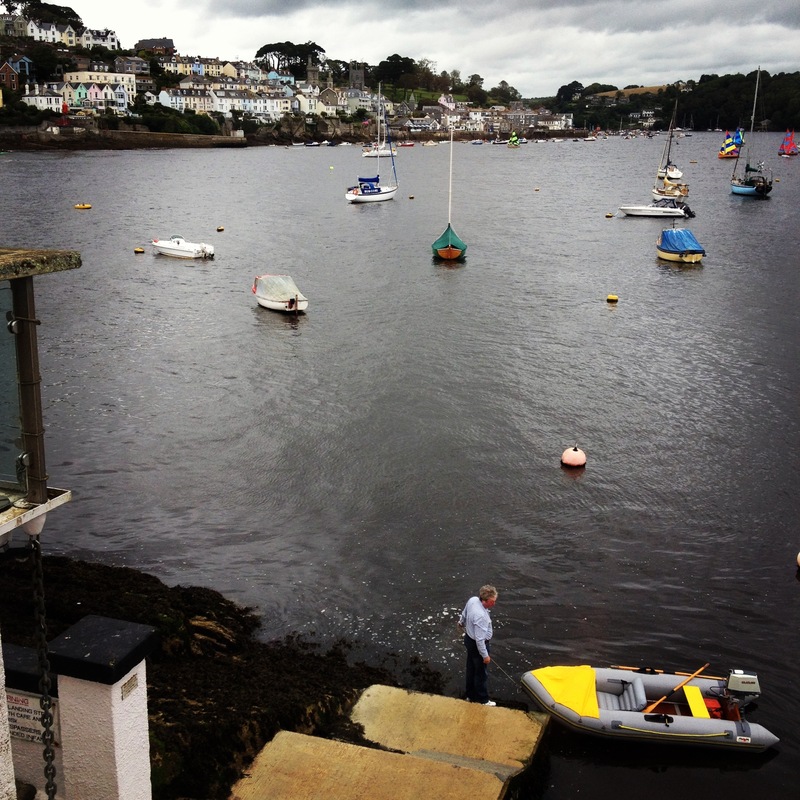 Arriving at Cornwall, my father begins the routine of inflating and launching Chrismick – with his trusty foot pump. As children, my sister and I thought this was a great adventure. As adults, inflating a boat with feeble puffs of air while pumping your foot up and down repeatedly seems a long and tiresome process. After about an hour of pumping and puffing, Chrismick is finally launched into the water – and we all pile in. There follows an audible holding of breath while my father yanks the chain on the rusty engine several times, a pause – and then subsequent cheers when it miraculously splutters into life. The trusty Suzuki engine has never let them down yet. 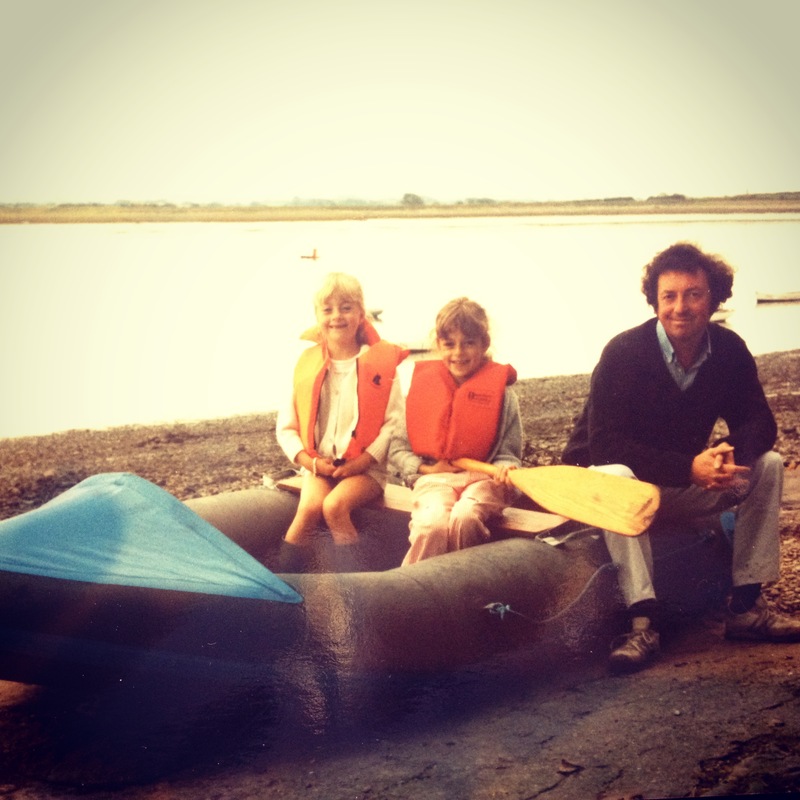 The maddest part of this saga is that after a day on the river, my father then begins the long-winded process of deflating the dinghy and folding it back into the boot of his car – ready to relive the arduous process the next day. (He doesn’t trust Chrismick to be left on the water overnight). My dad loves the challenge of studying his tide times and channels. On a good tide day, you can make it several miles in-land to Lerryn (of Wind In The Willows fame) and stop off for a Cornish cream tea. This is another of my Dad’s triumphs in Chrismick: Venturing Places Where Real Boats Cannot Go. My father proudly claims that Chrismick is a six-man dinghy but five adults is about its limit. 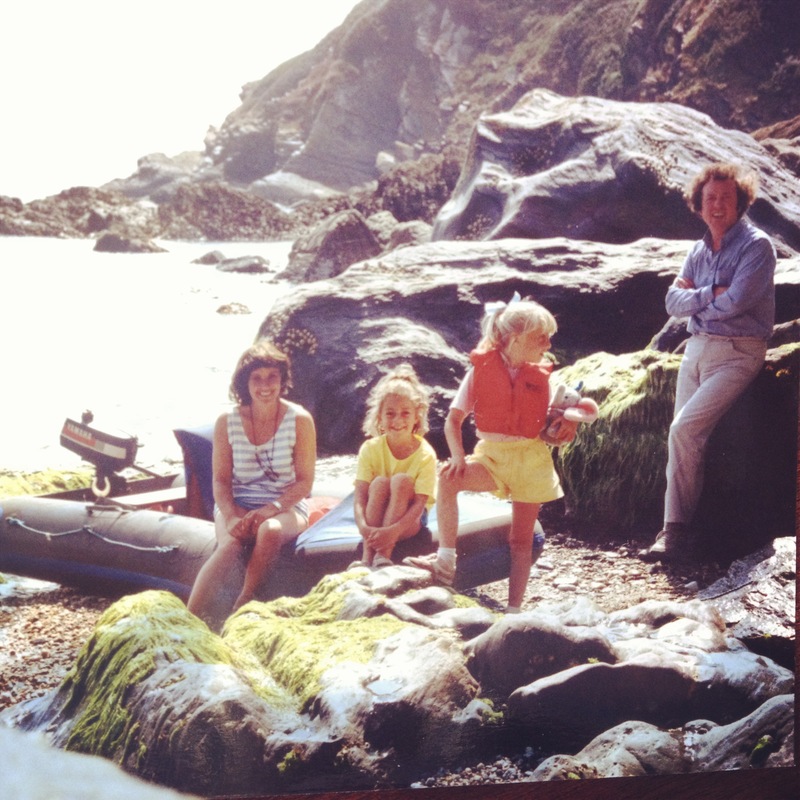 Even then, it’s a cosy affair, with my father at the helm and the rest of us perched precariously on its sides, ever fearful that the whole thing might just pop and suddenly deflate. Occasionally, my father shouts ‘bale’ and one of us has to start scooping out water using a baling device that my father fashioned out of an empty milk carton. My father has a long-held dream of taking Chrismick out to sea, quashed only by my mother’s annual protests. Apparently they met a sailor in a pub down there in the 80s, who warned them that the coast in these parts is a perilous place – a story which my father still scoffs at. But judging by the amount of puncture patches adorning on Chrismick’s faded grey sides, I think my mother’s fears are justified. The place that my father wants to get to is called Lantic Bay – a secluded cove around the cliff of Polruan. To achieve this dream, my father would need to head out to sea, navigating choppy waters that definitely aren’t meant for an ailing dinghy. He has been Weighing This Up for the last 40 years – more seriously in the last couple of years (egged on by The Foolhardy Husband). In a week’s time, we’re heading down to Cornwall for our annual family jolly. And I fear that 2013 could be the year that my father, Chrismick – and the husband – finally set out to sea.